The strangely-named Elbon the Table is a modern European restaurant located in Gangnam-gu, an affluent district in Seoul, and is at the end of a very pretty shopping street which includes some recognisable international brands and several hip coffee joints. I came across it while researching the dining scene in Seoul, and several people have recommended it on the food forums. 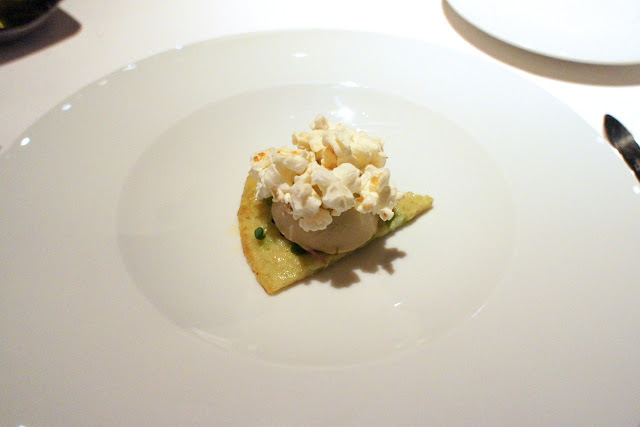 It appears on the S.Pellegrino World's Best Restaurants website but isn't in the list of top 100 restaurants. The chef, Choi Hyun Seok, is a celebrity chef in Korea and has the moniker of 'crazy chef' because of, I guess, his unique and innovative cuisine which is still quite novel in Seoul. 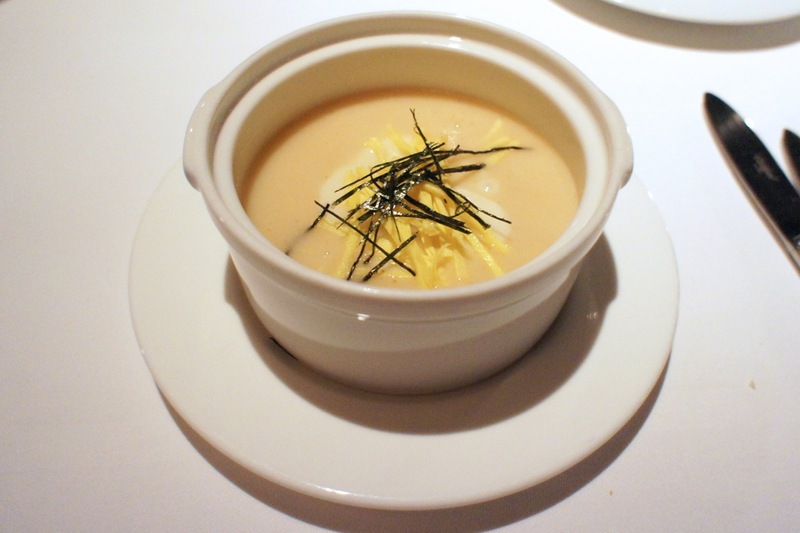 It has been compared by some to Les Creations de Narisawa (2 Michelin stars) in Tokyo and Bo Innovations (1 Michelin star) in Hong Kong which raised expectations somewhat. 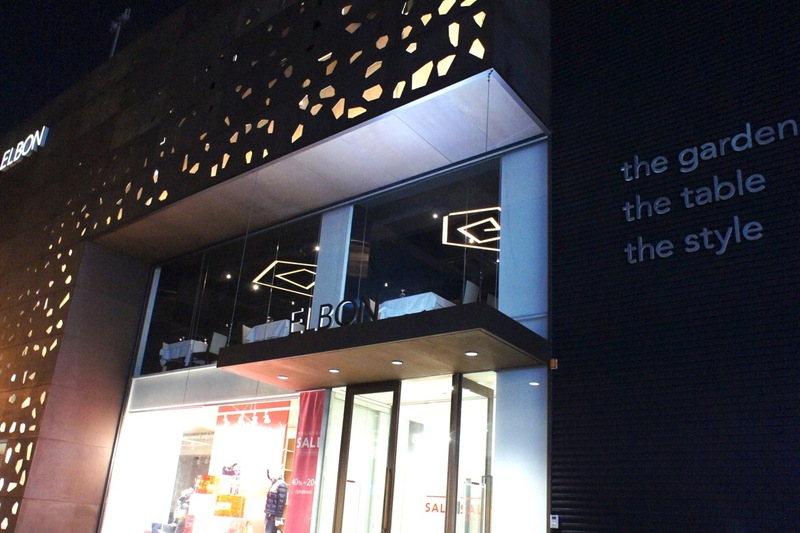 The restaurant itself is located on the second floor of a standalone building branded as 'Elbon', with a clothing retail store of the same name on the ground floor. 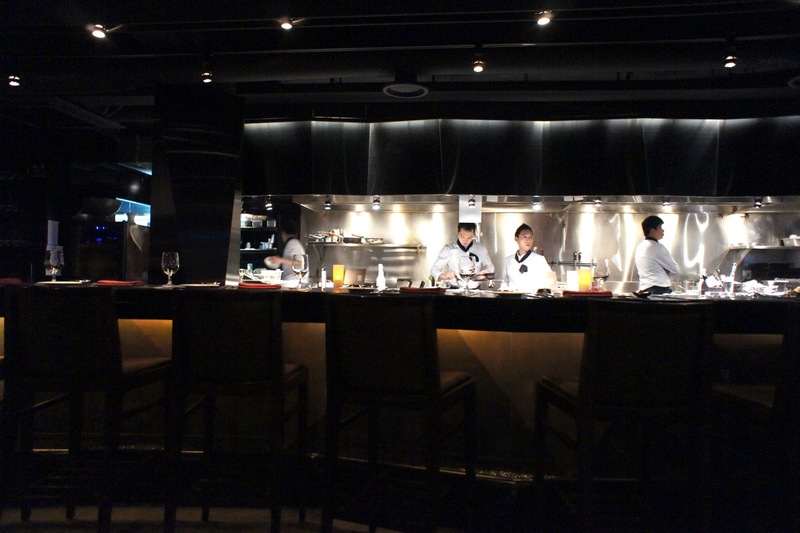 It is a relatively large restaurant with many tables and a long bar counter behind which the kitchen operates in an open concept. Tables were well spaced and though it was a comfortable dining room, it did not pretend to be particularly upmarket (by international standards). Interestingly, from what we understood, Koreans generally dine early, and by the time we got to the restaurant (just after 8pm), most of the other diners were finishing up their meals and we were the second last table to arrive (and to leave after dinner) that evening. 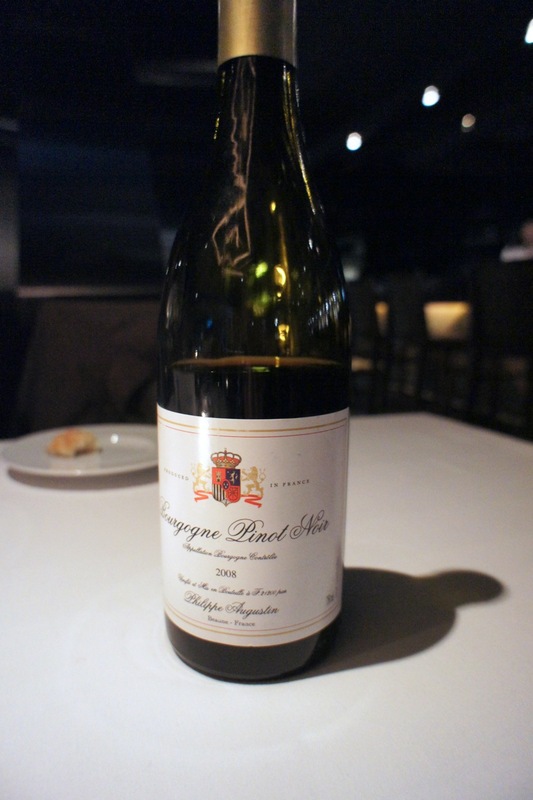 Elbon had a short yet decently priced wine list, for which I was surprised, and I managed to pick up a young but pleasant Burgundy for what I thought was a very good price. The bread served was quite good and they gave us a choice between Italian or Greek olive oil. 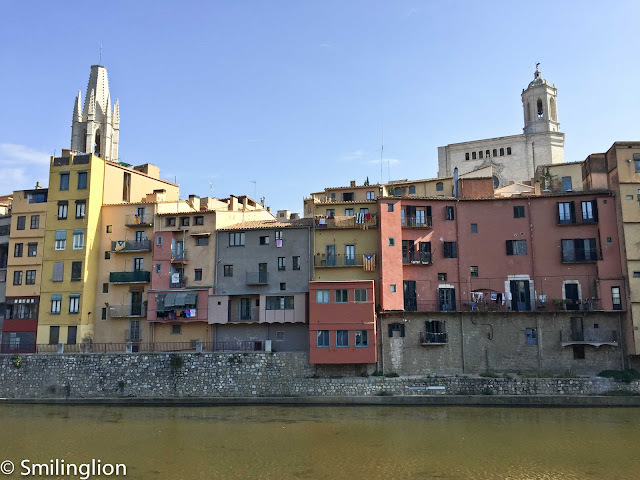 In addition to an a la carte menu, Elbon offered three chef's menus of which the most expensive one (which included quite a number of luxury ingredients like lobster, foie gras etc) was not available for the evening. We chose one of the other two menus, which came with 7 courses. Oyster Pudding and Mung Bean Cake with Popcorn: The oyster pudding was quite interesting but the mung bean cake was quite bland and the popcorn bewildering for me. I didn't think all three components of this dish complemented each other well at all. Seafood Cream Soup with Mozzarella Cheese: This was pretty good (if not a bit simple). It was essentially a clam chowder but with some melted mozzarella cheese which I felt was a nice touch. 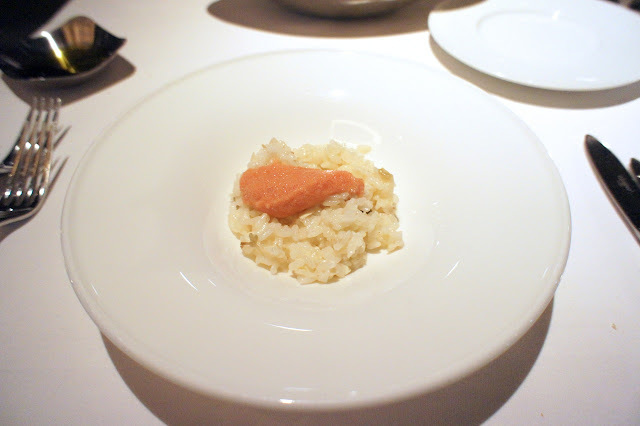 Risotto with Pollack Roe and Mung Bean Sprout: The risotto was cooked al dente and the roe and mung bean gave it an interesting Asian flavour. 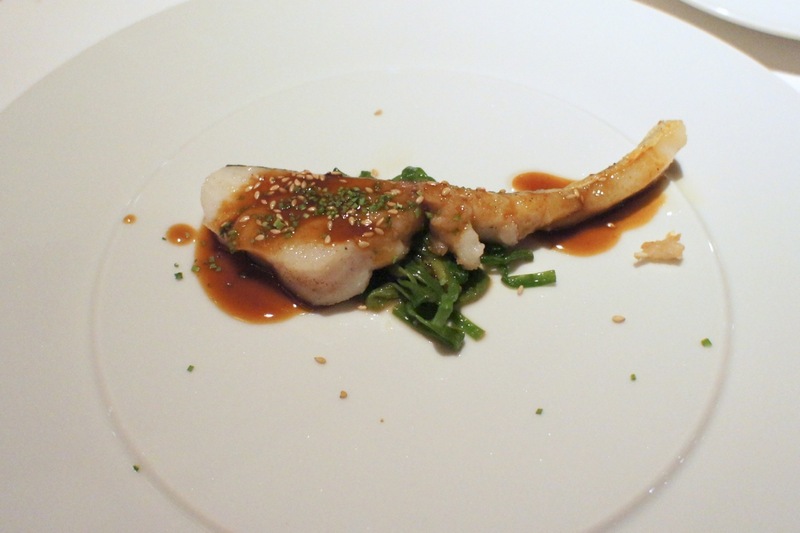 Grilled Cod with Water Celery and Ganjang Butter Sauce: The sauce was good but I felt that the texture of the cod was somewhat soggy (perhaps the fish was not at its freshest). 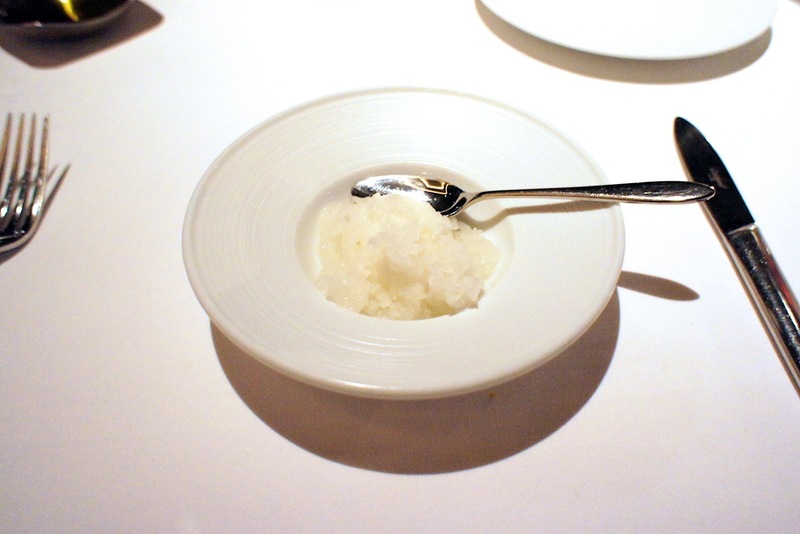 Lemon Sherbet with Makgeolli Granita: This was a worthy palate cleanser, it was tasty and refreshing. 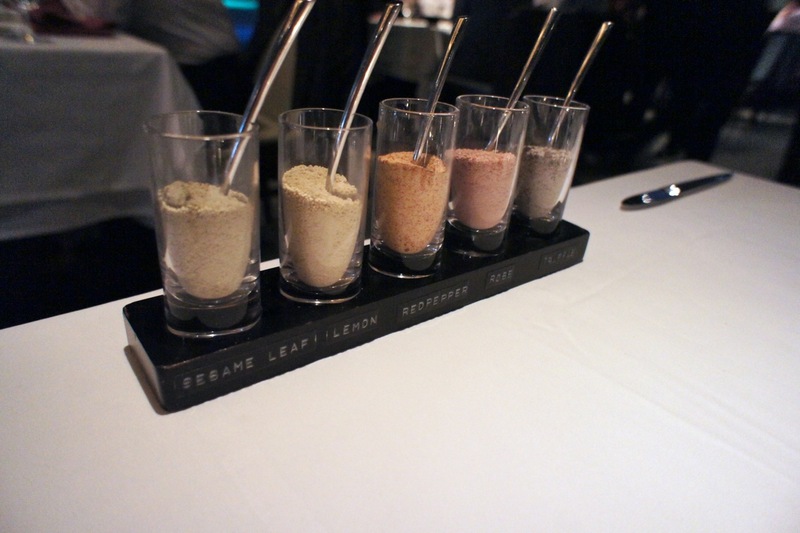 Ribeye Steak with selection of flavored salts: Probably the only 'fancy' thing about this restaurant on our visit this time was the flavored salts. It was to be tried together with the steak. 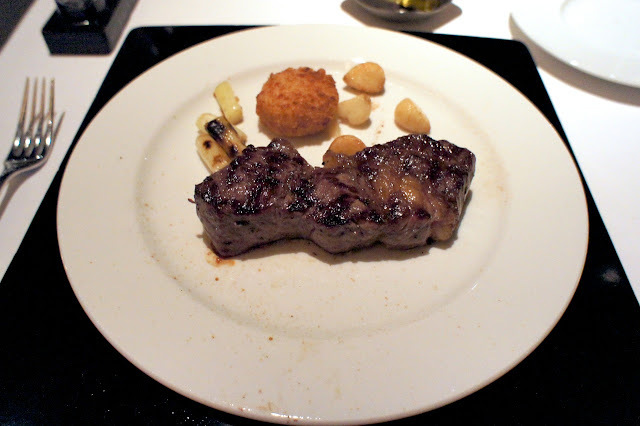 The beef itself was nicely grilled, and presented on a plate which was sitting on a hotplate, which resulted in the steak being served still sizzling. Other than the visual impact, I wasn't sure what the purpose of serving the steak in this manner was. If nothing else it tended to keep the steak cooking which forced me to eat it fast before the steak overcooked. 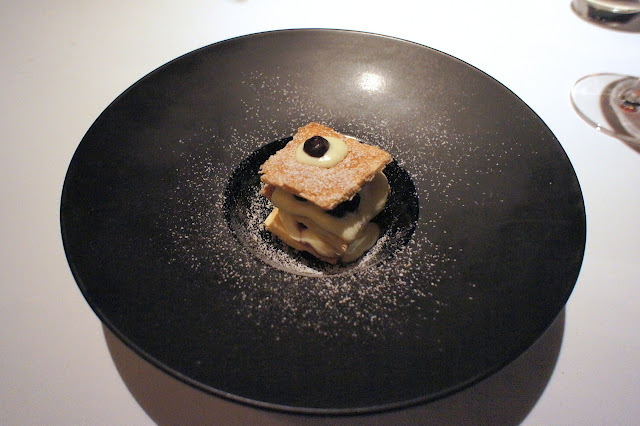 Daily Dessert: A simple blueberry millefeuille with a nice vanilla cream, but which pastry I felt was a bit too thick and hard. We ended our meal with some coffee. The kitchen worked at a phenomenal speed. We finished up a 7 course dinner just over an hour and by 9:30pm the kitchen was already cleaning up. Final Thoughts: I would have enjoyed this meal if I was being objective and without having been led to believe that it was comparable to some other Michelin star restaurants in North Asia (it wasn't). In truth, it was a decent meal at a reasonable price. The crowd and the vibe were quite casual and relaxed and so I'd consider this to be more similar to a high-end bistro than a fine dining restaurant. This was my first non-Asian meal in Korea and hence I had no similar benchmark in Korea with which to compare Elbon. But given how good Korean food generally is and the wonderful Korean meals I've had in Seoul, I think I'll stick to Korean food the next time I'm in Seoul again.